If you're looking to start a new career in Beauty Therapy, it is important to ensure you select the right course to achieve your aspirations. Our Careers In Beauty guidance will help you identify the best training route for your needs. Alternatively, call our friendly Course Advisors on Freephone 0800 999 2277 & they will be happy to answer any questions. The beauty industry is one of the largest growing sectors for employment according to HABIA, with it’s UK sector turnover predicted at £6.2bn in 2017 and around 280,000 people working within hair & beauty in the UK alone. 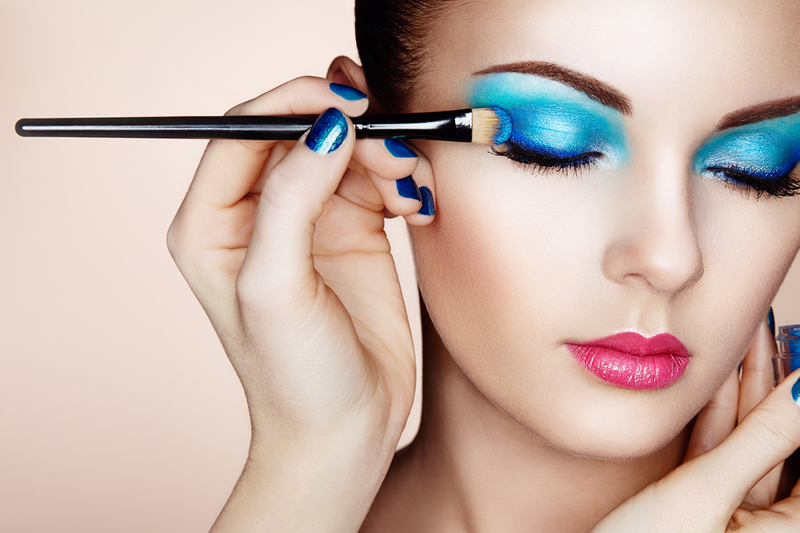 Opportunities to work within the beauty industry are limitless with possibilities to work on a self-employed basis (e.g. running your own business) or employed with a salon, spa, nail bar, cosmetics retailer, cruise liner etc. Click on the ‘Careers Options’ tab above to explore different career paths within the beauty industry and the training routes / qualifications recommended to enter and progress within these careers. If you need further advice, give our friendly team a call on 0800 999 2277. Work for Yourself or Gain Employment? With so many career opportunities available, the first question to ask yourself is ‘do you want to work for yourself – from home or mobile?’ or ‘do you want to gain employment working in a salon, spa, etc. ?’ This question is essential to ensure you select the most appropriate training option for your needs. If you simply want to complete practical training that will allow you to obtain the right certificate to purchase insurance and begin working with paying clients from home or mobile then The Beauty Academy diploma courses will allow you to do just that. All training courses are accredited by ABT (the Associated Beauty Therapists is the largest beauty and insurance membership provider in the UK), allowing you to gain insurance to begin earning. We have 1, 2 & 3 Day training courses which are ideal for those who want to get qualified quickly and begin earning. Our Quick Start Packages combine our most popular training courses to help you save £££s on the individual course fees. If you’re interested in gaining a higher level qualification, you may also like to consider our Academy Level 2 training courses which bring together some of the most popular training courses and enable you to also receive BABTAC accredited certificates. The British Association of Beauty Therapy & Cosmetology (BABTAC) is the UK’s leading membership organisation and insurance provider for professionals working in the beauty, hair, holistic and sports therapy industries. Click the ‘Career Options’ tab above to explore self-employed career options. You may also be interested in details of our Starting a Business in Beauty Therapy home study course (see below). For those looking to get up and running quickly with their businesses, we do offer a selection of Starter Kits available to purchase through our website. No kits are needed to attend training days and advice is given on training days about leading suppliers for professional products but it’s a convenient option for those who want to be ready to start straight after training. If you need the convenience of studying from home whether that is to work around childcare, work commitments or living a distance from a training centre, our Online Courses will allow you to do just that! Study online, anywhere, anytime all at your own pace through our Online Student Portal. You will be guided through the course using our student portal with comprehensive training manuals, multiple choice online theory tests (that you can retake for free, as many times as you need), video tutorials and our Support team on hand by phone or email throughout your course. Upon completion you can gain insurance with our recommended insurance partner to work from home or mobile and begin your own beauty business! Online courses can be completed in as little as 2-3 weeks but you have up to 8 weeks giving you ample time to access our portal 24/7 to complete your studies! Optional Starter Kits & Student Insurance is available to assist you in completing your Online courses quickly and conveniently. Gain Employment – Employed in a salon, spa etc. If you are looking to gain employment either immediately following completion of your training, at some stage in the future or just want to keep all career options open; we would recommend the VTCT Qualification programmes. These allow you to gain an Nationally and Internationally recognised industry qualification that demonstrates you have achieved a high level of competence and proficiency in delivering treatments. Our VTCT qualifications are studied on a fast track, flexible basis allowing you to choose where you attend practical training. This is followed by coursework from home (which is fully supported by our in-house Support team) and then simply attend assessment days to complete your programme. Selected Starter Kits are available to purchase conveniently through our website to enable you to practice at home, complete case studies and practical assessment days but these are not required on training days (as all products are provided at the centre for these). Click the ‘Career Options’ tab above to explore careers on an employed basis. Students undertaking a VTCT, BABTAC or Guild Accredited qualifications with The Beauty Academy are eligible to purchase an NUS Extra Student Card for £12 giving you access to discounts, deals and benefits across a large number of retailers. Details about how to purchase this can be found here. Decide how you prefer to learn – either face to face at one of our centres or online through our student portal. Purchase selected Starter Kits conveniently through our website to help you get started offering treatments quickly or from leading professional suppliers following your training (advice is given on training days about suitable professional suppliers). Once you are trained you will need to purchase public liability (beauty therapist) insurance to cover you while working with paying clients. Following our face to face training courses we recommend purchasing an annual policy to cover you while working from home or mobile. More info about recommended insurance can be found here. For those completing our Online only courses, you may like to look at our Online Student Insurance to cover you while learning and the recommended insurers upon completion of your Online course. The Beauty Academy home study Starting a Business in Beauty Therapy course is ideal for those who wish to learn the essential business know-how to plan, launch and run their own successful freelance beauty business (from home or mobile). Learn more about this course by clicking to visit the course information page below.